2019 Plat Books are available at the County Clerk's Office. The cost is $35. The Ste. Genevieve County Clerk's office maintains County Commission records, payroll, accounts payable, county budget and financial statements, county inventory, railroad and utility tax billing, assessed valuation for political subdivisions, liquor license, ATV/UTV permits, notary commissions, voter registration, and serves as the election administration for the county. All notary information may be obtained from the Secretary of State's Office in Jefferson City for applications and information. Click on the links below to get the latest information. When Picking up your Notary Commission at the County Clerk's office, please bring your $10,000 Surety Bond and a $5.00 recording fee. You may obtain an ATV/UTV permit from the County Clerk's Office. This permit allows you to ride your ATV/UTV on county roads only. The cost is $30 for a two-year permit. You will need to have a valid driver's license, paid property tax receipt, and proof of insurance in order to obtain the permit. To be in compliance with State Statutes, any business possessing a State Liquor License must also obtain a county liquor license prior to selling alcohol. Applicant must have paid their County real and personal property taxes to be eligible for a county license. First time applicants MUST come to the county clerk's office in person, bringing their state liquor license to apply. 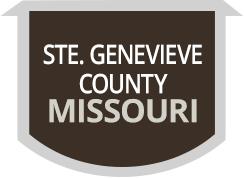 You can contact the county clerk, Sue Wolk, by email swolk@stegencounty.org or by calling 573-883-5589 if you have any questions.